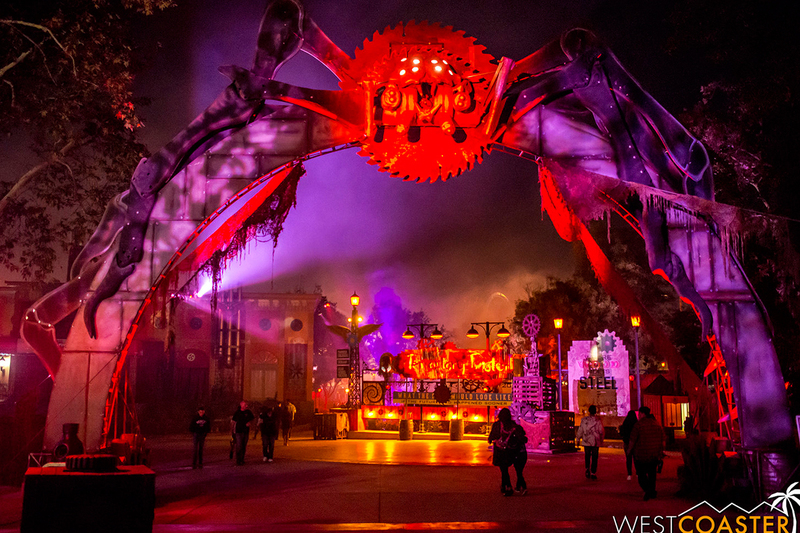 Little Spider Creations made a custom steam punk spider arch that welcomes guests into the park at Six Flags Magic Mountain in LA, CA. 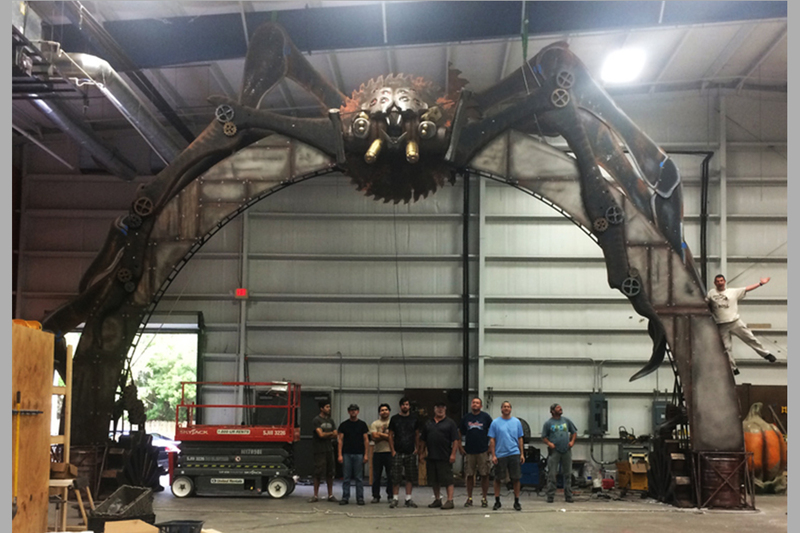 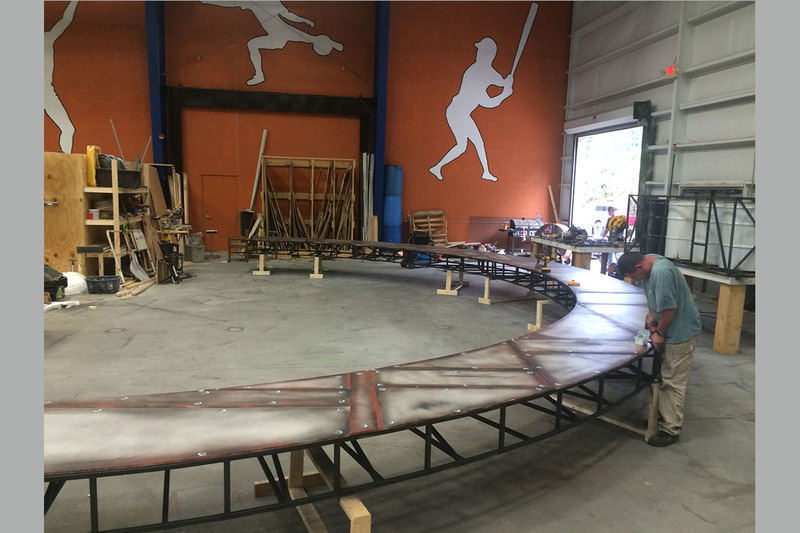 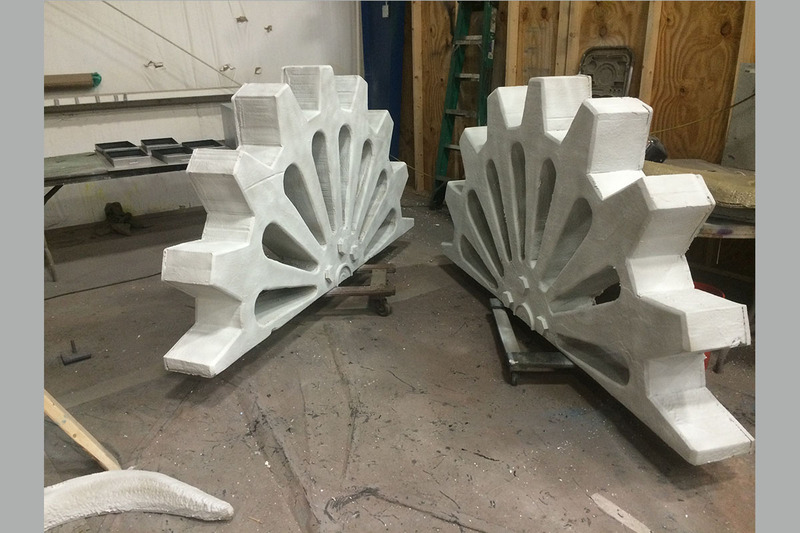 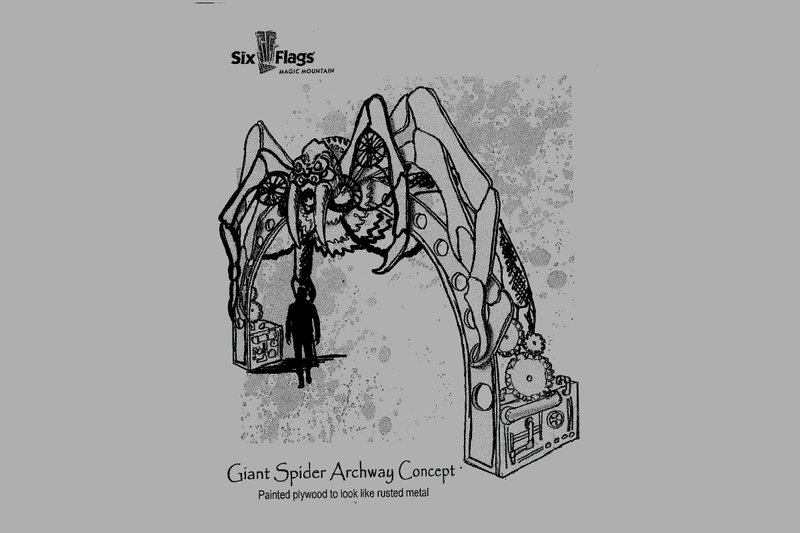 Little Spider Creations created this 44 foot tall arch for Six Flags Magic Mountain for their Fright Fest 2015. 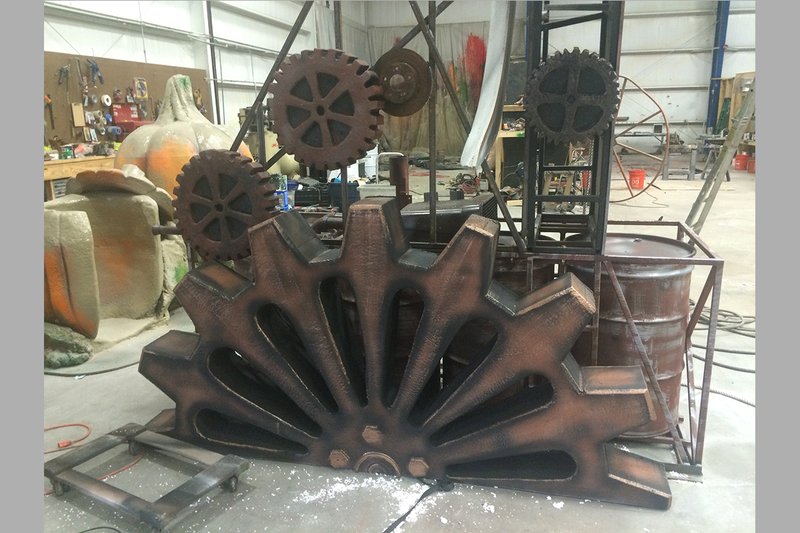 It welcomes its guests into both the Halloween steam punk scare zone and the Christmas steampunk area during Holiday in the Park. 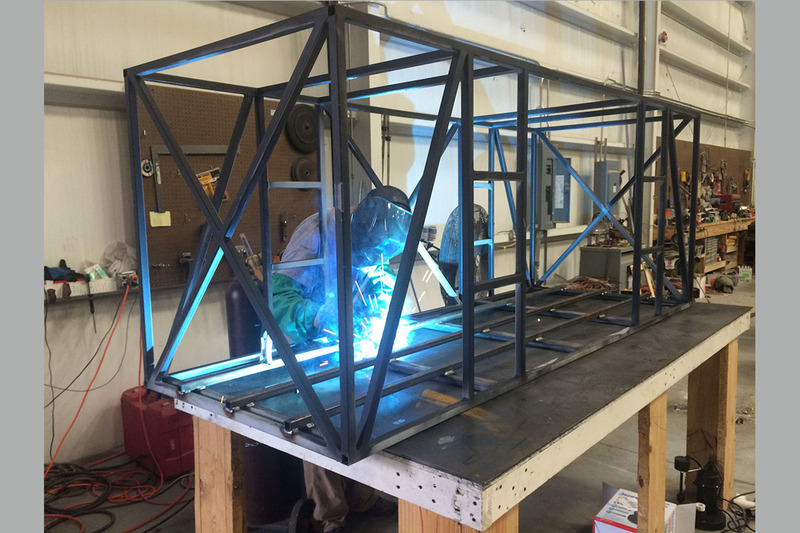 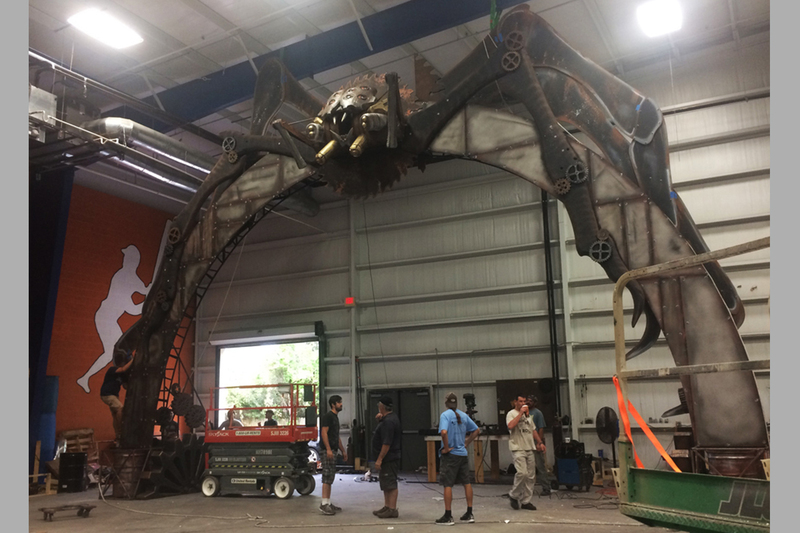 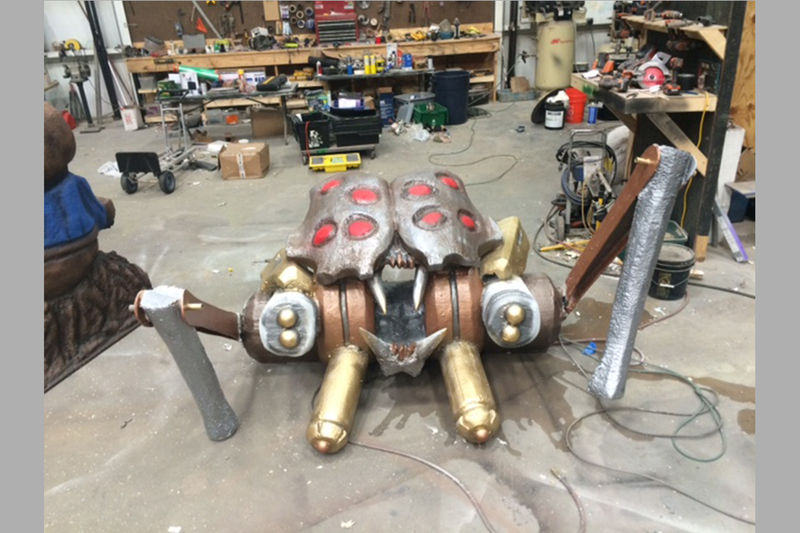 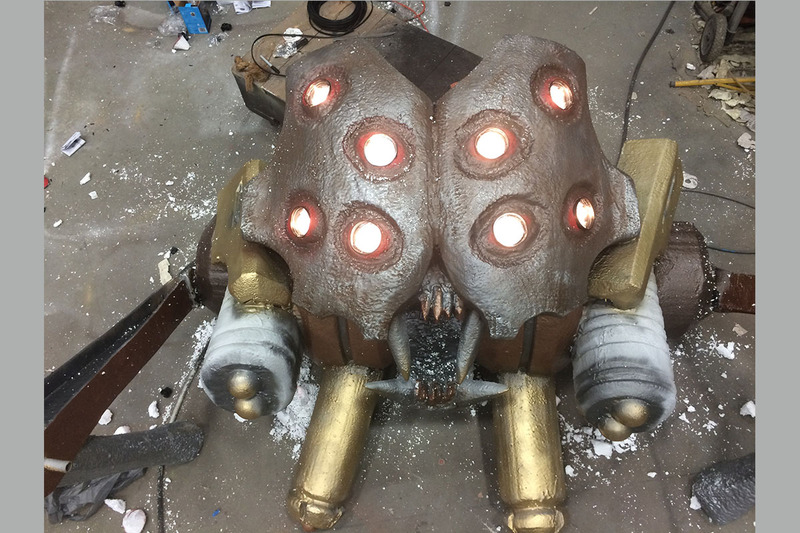 A majority of this project was metal fabrication with some digital fabrication of smaller spiders that were placed around the arch and scare zone.